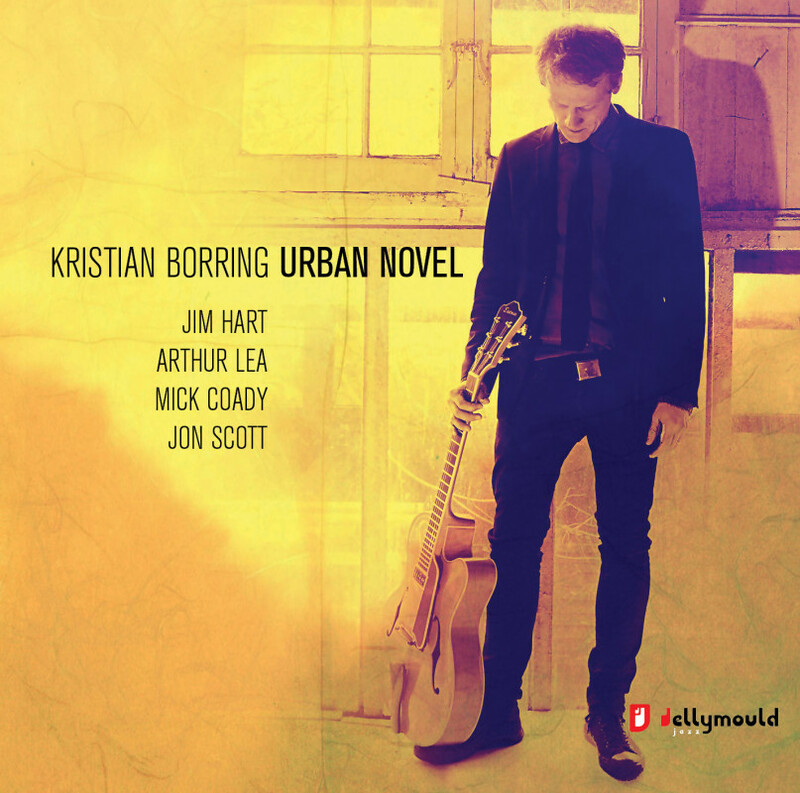 For his debut album on Jellymould Kristian has written a collection of eight compositions inspired by the cityscape. Urban Novel is a personal homage to life in the metropolis – from the cool swinging opener of Hipster to the laid back feel of Arcade Coffee Shop to the intense, frantic vibe of Hidden Corners the album has a strong sense of melody throughout, set in a contemporary ‘soundscape’. To realise these compositions Borring has assembled some of the UK’s most exciting jazz musicians. Jim Hart is fast gaining a reputation as one of the finest exponents of jazz vibraphone in the world with three of his own albums, projects with Stan Sulzmann, Alan Barnes, Paul Clarvis and Ivo Neame and being regularly called upon to tour with many visiting American musicians including Ralph Alessi, Joel Frahm, Jaleel Shaw, Terrel Stafford, Logan Richardson and Richie Barshay. Piano player Arthur Lea has been described as “a 21st century Thelonious Monk” and “a musical explorer”. As well as leading his own trio The Way That You Do It Arthur composes for Anglo/German quartet Paragon and plays for Seb Pipe’s Life Experience Quartet. Irish bass player Mick Coady is long-term bass man for Pete King. He released his debut album last year (also on Jellymould) featuring American alto legend David Binney to much critical acclaim. Drummer Jon Scott is one of the most in-demand players on the London scene. To date he has appeared on over 25 albums and holds the drum chair for 2011 MOBO “Best Jazz” award winners Kairos 4Tet, Dice Factory, Rory Simmons’ “Monocled Man”, and Anglo-German collaboration Paragon (nominated for the 2012 Neuer Deutsche Jazzpreis).